Yes, we know CES (with 4,000 exhibitors and 200,000 people) in Las Vegas recently ended and some of you are still recovering. But it’s never too soon to start planning for CES 2020. Check with the folks at CES and get deadlines for scoring a booth location, submitting speaking proposals, and identifying special events (important dinners, relevant meetings, and yes… parties). Determine what your company/client’s news and objectives are and what new products will be announced. What technology will they show at CES 2020? Remember the obvious: media is looking for news. The more unique and “first of its kind,” the better. Now that you have the news, you need to develop pitching plans, press kit, visual assets, etc. New product demos are always good booth catnip. And pitch the media several months in advance – before the holidays for sure. The CES media list is usually available to download for those registered to attend. Plan your flights and get your hotel squared away several months out as well. There are three: CES Unveiled, Pepcom Digital Experience, and Show Stoppers. Check with your PR network and crowd-source on social networks to find out which event is best for your company. Unveiled is held two days prior to CES, Pepcom is the night before (my personal favorite—great timing) and Show Stoppers is on the first night of CES. They all have plenty of A-list press folks who attend. These events are so popular with press that many companies who are solely interested in media coverage are choosing to attend one of these events– and that’s it! No CES booth needed. Reporters are there to meet and greet, ask questions and try out products while learning about your company. Be sure to get the buzz started a couple of months prior to CES, with teasers and hashtags to garner interest. During the show, use social channels to provide compelling and interesting content on Twitter, Instagram, and Facebook, including Stories and “live” opportunities. Create buzz about your brand to encourage visitors to your booth. 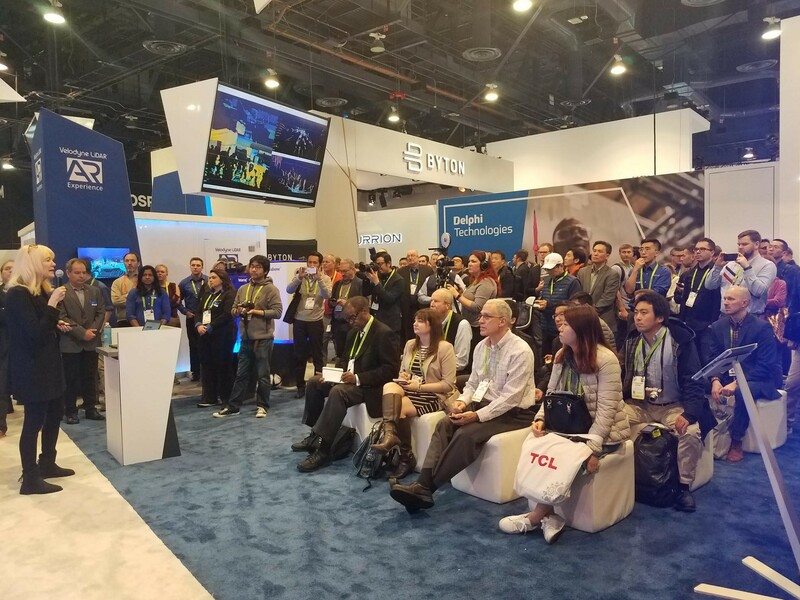 Engage with CES attendees, media, and tag booth visitors who are also active on social media. For non-CES attendees, you can provide information and encourage engagement with your brand advocates and followers. Make them feel as if they’re visiting the booth—virtually! After the show, post media coverage and tag the reporter with a nice shout out. It’s imperative to follow-up with reporters who visited the booth, as well as those who weren’t able stop by with relevant content and images. Be sure to debrief with your client about what worked for them at CES and lessons learned. And before you know it, it’s CES time again. You’ll be booking those flights and hotels and packing comfortable shoes and hand-sanitizer. Of course, if you really want to maximize your PR success, work with an agency who has been there and done that, with staffers who have years of CES and trade show experience. Landis Communications can help. Let’s chat soon so we can talk through your plan! Blog written by Robin Carr. Robin – great info. Also, I think you’re the only one who came back from CES and didn’t get sick. That deserves a kudos! Hand sanitizer – by the bucket! I enjoyed working CES with you this year, Robin, and this is a great cheat sheet for 2020. Thanks for the tips, Robin. Only 344 planning days left! Great tips, Robin. Trade shows are a fantastic showcase, but you’ve got to really leverage them. Another idea to consider – and that requires long-term planning – book a suite in the conference hotel for private meetings and hospitality opportunities for off-floor, in-depth client and press conversations.